As announced by Microsoft earlier, the software giant has finally released the much update Windows 8.1 update 1. The new update is similar to service packs offered by Microsoft for previous windows operating systems. Like the previous service packs, the new windows 8.1 update 1 will also contain all the previously released security and non security updates for the Windows 8.1 operating system. With the new Windows 8.1 update 1, Microsoft will be addressing several major issues that have been bugging windows 8.1 users. The new update has already started rolling out this morning through windows update on windows 8.1. However if you are interested in installing the updates manually, Microsoft has made the updates available as direct downloads too. For those who are interested, we’ve added the direct download links for the Windows 8.1 update 1 below. Once you have downloaded the patches, you will have to install them according to the order they are listed above. Most importantly you need to know that the Windows 8.1 update 1 is not an optional update, unless you install the windows 8.1 update 1, you won’t be able to receive any future updates for windows 8.1 from Microsoft. Disappointingly, the windows 8.1 update 1 won’t be adding the new Start menu which was announced at the build conference at the start of April. 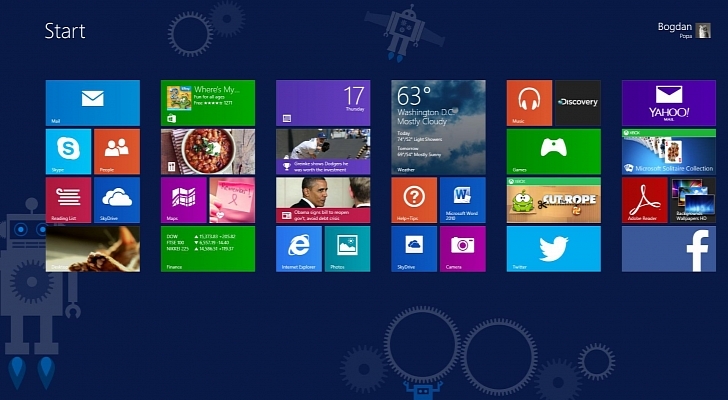 According to Microsoft, the start menu will be added to windows 8.1 in a future update.